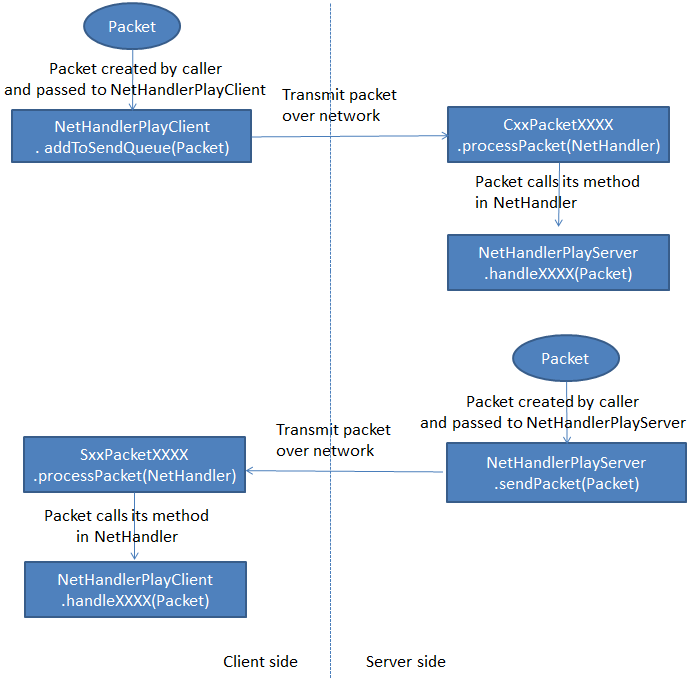 Packets sent from Client to Server start with C, for example C07PacketPlayerDigging. It is possible to create vanilla packets and send them using the NetHandler, however it's almost never necessary. If you call the correct vanilla methods, they will send the packets for you. (for example ServerConfigurationManager.sendChatMsg() instead of S02PacketChat). In order to send your own custom messages between Client and Server, use the SimpleNetworkWrapper instead of Packets.